I wanted to take a moment to thank you guys for providing such a great fund raiser. It was easy to do, ordering was simple, and the customer service was outstanding. I would also like to thank you for providing samples that we could give out during our basketball tournaments. It generated interest and allowed people to try new flavors that they may have been hesitant to order a full jar of. 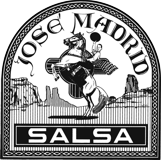 Many thanks to Jose Madrid Salsa for helping us to run a successful fundraising event! As a small school, we are often faced with the challenge of meeting the minimum sales targets required by many fundraising programs, and tiered profit structures make it difficult to meet fundraising goals. 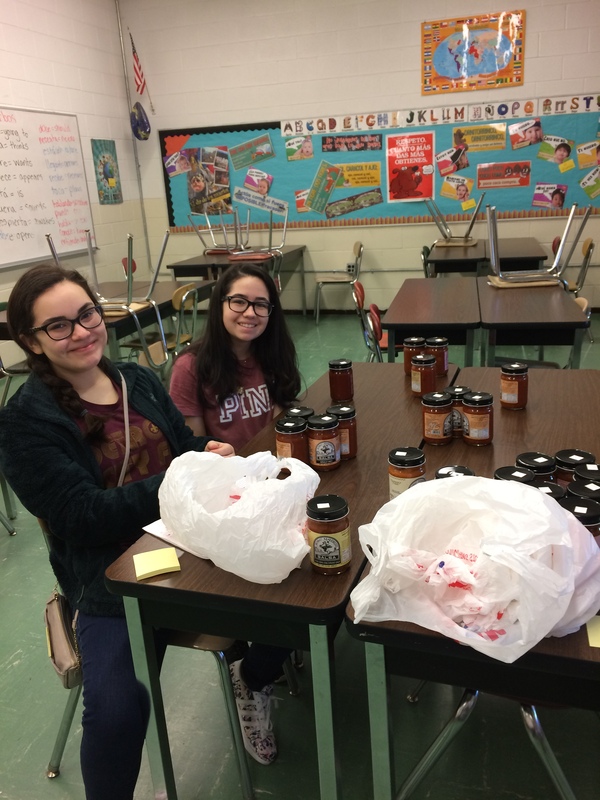 With no minimum sales required (only a minimum for free shipping) and a 50% profit on every jar sold, Jose Madrid Salsa seemed like the perfect fundraiser for our school. From the beginning, Matt was extremely responsive, flexible and easy to work with. People were happy to be selling something new and different, and were excited about all the varieties of salsa available! We sold more jars than we ever imagined and far exceeded our fundraising expectations. The ordering process was simple and straight forward and we received our shipment in about a week. I've received great feedback on the salsa from many folks and a number of people have said they are hoping we'll run the salsa fundraiser again next year. Many thanks for helping to make our first experience with you a successful one! 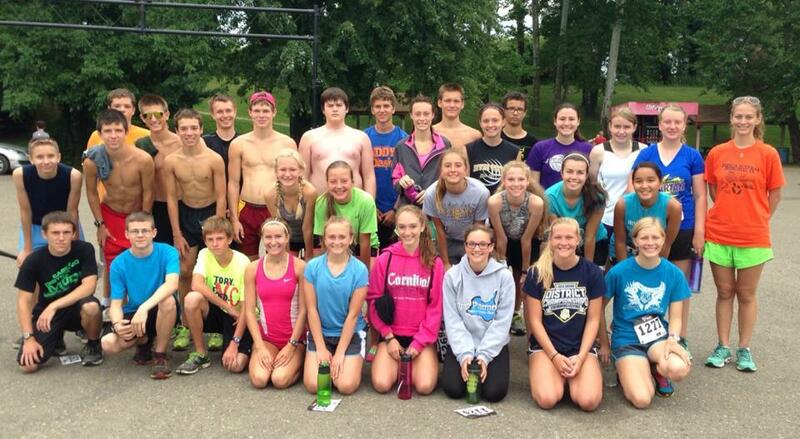 The River View Cross Country Team would like to thank you so very much for allowing us to sell Jose' Madrid Salsa as one of our main fundraisers. We are constantly looking for new ideas to help us raise money and Jose' Madrid Salsa was a perfect fit. The salsa was easy to sell and we expect it to be even easier the next time once people try it. Everybody absolutely loves it. The order forms were easy for the athletes to use and it was so easy to place our order with you. I was so impressed when we actually received our order in less than a week and the personal service we received from both Matt and Mike was amazing. We are completely self funded and responsible for the thousands of dollars it takes to operate our team each season and the 50% profit on every jar was perfect. Our TEAM is very close and we consider each member to be family. Thank you for being a member of our TEAM. We look forward to working with you again. Families were very impressed by how well it sold and they are excited for the amounts to be applied to their Washington DC trip. They loved that it wasn't the usual cookie dough and candy fundraiser. Each student fund raises for their own account and I had one student raise over $100 for her trip. She was really excited! I am sure they will appreciate it more after they try the salsas! The flavor descriptions sound really fun and exciting. Teachers in the building were buying to use with chicken recipes! I can't wait to try the one's I ordered! As I am sitting here typing this testimony, I am eating the Peach mild salsa. I was trying to find a way to help raise money for our churches food pantry and someone recommended Jose Madrid. At first I thought...Naaaaa. Nobody will want salsa, but then I decided to give it a try. I am working on my second fundraiser with them now. The salsas are AMAZING!!!! I highly recommend any of the fruit flavored ones and my friends love the Garden Fresh Cilantro Mild. When I mentioned having another fundraiser everyone jumped on it. My first order was 110 jars and my second order was over 50. The guys are great to work with. Especially Mike. He has styed in constant contact with me over e-mail and the delivery was received within 2 days of the final order being put in. They are just so easy to work with and they help as much as they can, I would HIGHLY recommend this company to anyone who is looking for a fundraiser. I mean you can't beat it...$6 a jar and you get half the money for your organization....It's that simple!!!!! All prices are in USD. © 2019 Jose Madrid Salsa.